Proptix Medical offers full service/overhaul and calibration of ophthalmic instruments/equipment with the vision of becoming your source for ophthalmic instruments/equipment and supplies. In addition to our team of highly trained sales and technicians averaging more than 10 years each providing professional advice, Proptix Medical aims to exceed your expectation by answering email or phone calls promptly, professionally than you might encounter with other ophthalmic instruments/equipment vendors. To keep your ophthalmic equipment in perfect working condition and achieve optimum optical accuracy, Proptix Medical highly recommends preventive maintenance for the following instruments: Phoropter, Lensmeter, Tonopen, Hand Held Tonometer, Ophthalmoscope, Retinoscope, Indirect Ophthalmoscope, Chart Projector, Pachymeter, Pupillometer (PD Meter). For every service request we receive, our highly trained technicians troubleshoot and provide an estimate within 48hrs for your approval before proceeding, and each order is prepared and shipped the same day in most cases. We are so confident of our service that we offer 6 months warranty on each overhaul that we provide. To ensure customer service satisfaction and loyalty, we provide monthly special offers. Proptix Medical offers large selection of bulbs to fit most manufacturer’s ophthalmic instruments: Indirect Ophthalmoscope Bulbs, Lensometer Bulbs, Operating Microscope Bulbs, Ophthalmoscope Bulbs, Chart Projector Bulbs, Retinoscope Bulbs, Slit Lamp Bulbs, Tonometer Bulbs, Transilluminator Bulbs. Proptix Medical offers large selection of batteries to fit most manufacturer’s ophthalmic instruments and power handles, including: Ophthalmoscopes, Retinoscopes, Transilluminators, Tonometers. The following is the most commonly ordered batteries: Heine NIMH Rechargeable battery,Heine Accubox II battery, Heine mPack Battery, Heine Omega 500 Battery, Keeler Lithium Battery, Keeler replacement NICAD Battery, Keeler smart pack battery, Welch Allyn 72300 Battery, Welch Allyn 72200 Battery, Welch Allyn 72000 Battery, Welch Allyn 72600 Battery, Welch Allyn 72240 BIO Battery, Welch Allyn 72420 Battery, Reichert Tonopen Avia Battery, Reichert Tonopen XL Battery, Reichert IOPac Battery. 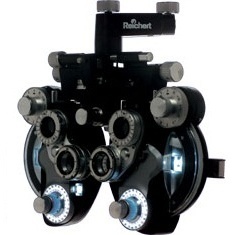 Your Consultant in Ophthalmic Equipments.